Maxthon Cloud Browser V4.4.1.5000 officially is released! Maxthon Cloud Browser for Windows V4.4.2.1500 Beta Released! 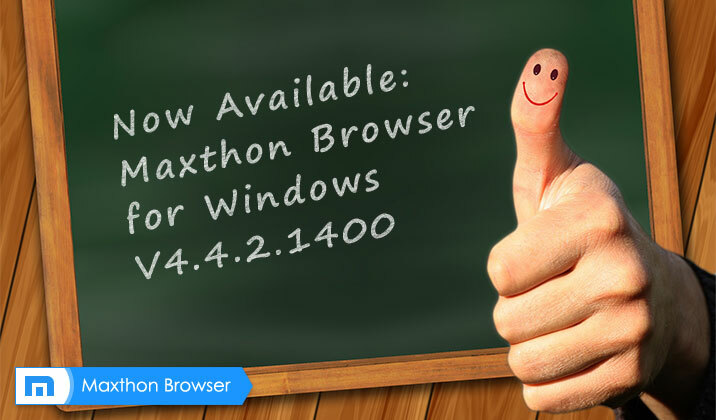 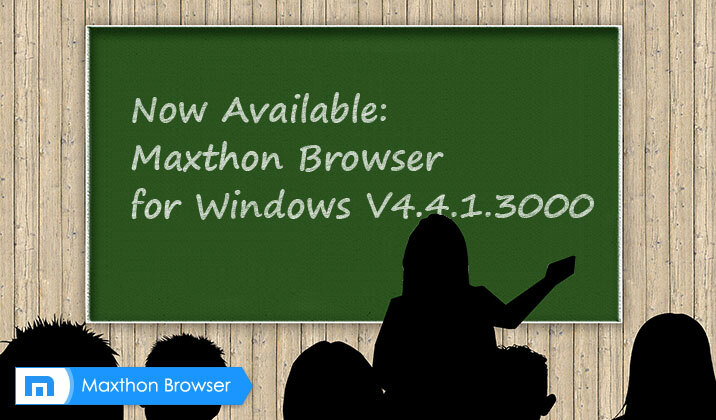 Maxthon Cloud Browser for Windows V4.4.2.1400 Beta has been released! 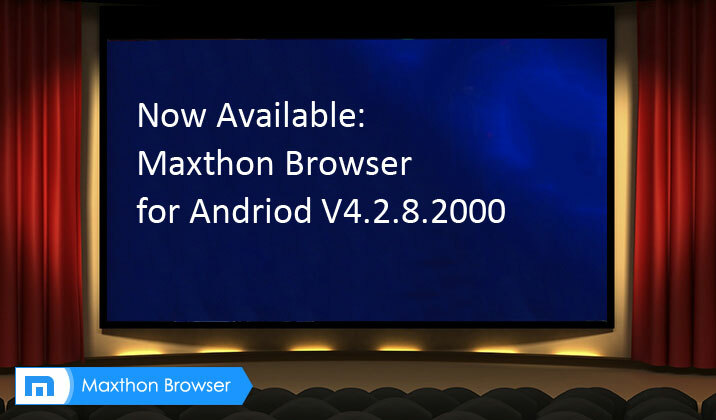 Maxthon Cloud Browser for Android v4.2.8.2000 Officially is Released! Maxthon Cloud Browser for Windows V4.4.2.800 Beta is Released!